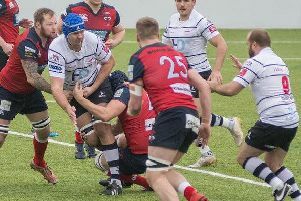 After crashing to their biggest defeat of the season last weekend, Preston Grasshoppers might have been wishing for a less testing fixture tomorrow. But they find themselves hosting National League Two North leaders Hull Ionians, who, since being relegated in April, have lost just once – away to Hinckley, who dished out that 49-5 hiding to Hoppers last Saturday. Ionians have won eight games in a row since then for an overall tally of 11 victories as they head for Lightfoot Green for the first time since the 2014/15 season. Hoppers dropped back to 12th last week but are only two points behind ninth-placed Stourbridge, whom they visit next weekend. 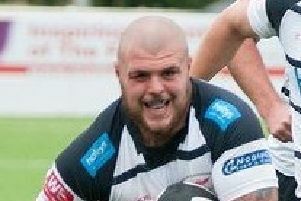 After last week’s ”bad day at the office”, Preston Grasshoppers make a number of changes. Forwards Paul Millea, Ally Murray and Teddy Leatherbarrow are all back from injury, while lock Adam Howard serves a suspension after three yellow cards. Brad Cave returns at full-back, with Tyler Spence reverting to the wing and Matt Crow moving to centre. Elsewhere, Fylde moved up to fifth last Saturday with their third victory on the trot. They now play host to Wharfedale, who are three places and five points behind them after six wins out of 12. Fylde have won seven and lost five. Vale of Lune, meanwhile, finally got off the bottom of the North Premier League last Saturday with their first success – after a draw and nine defeats. Tomorrow, they travel to Rossendale for the first time since 2006 to renew their long-standing acquaintance with the familiar face of Mark Nelson, the hosts’ coach. Nelson’s men lie fifth after six victories and five defeats. Vale are hoping to go with the same 18 who defeated Billingham last week, subject to a fitness check on Ben Dorrington, who played fly-half in that game. Hoppers: Cave; Trueman, Crow, Stott, Spence; Davidson, Gough; Mabaya, Millea, Altham, Procter, Murray, Birch, Leatherbarrow, Lamprey. Replacements: Miller, Trippier, Edwards, Fitzpatrick, Ward. Vale (from): Ramwell, Jacques, Owens, J Dorrington, Steele, Hall, B Dorrington, Lomas; Bradshaw, Powers, Pillow, Hesketh, Foxcroft, Robinson, Fellows, Wallbank, Fourie, Ayrton.